Oh hey! It's me, back with another recipe for this crazy week of another round of taking over the Whole30 Recipes Instagram page! I've been guest blogging over there all week and it's been exhausting- yet sooo much fun! I have been so grateful for the opportunity to connect with so many people, and to help fellow Whole30ers and healthy eaters along in their journey to finding what works for them. It's a humbling experience! This dish is one I've been working on for awhile, and saving for the occasion- because I wanted it to be just right. 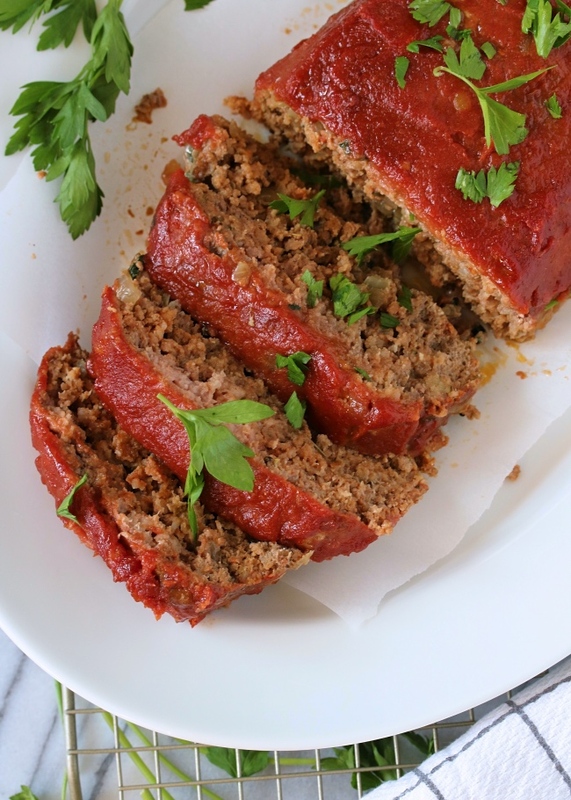 Both my husband and I are big fans of meatloaf, so the texture had to be perfect before it was blog-worthy. 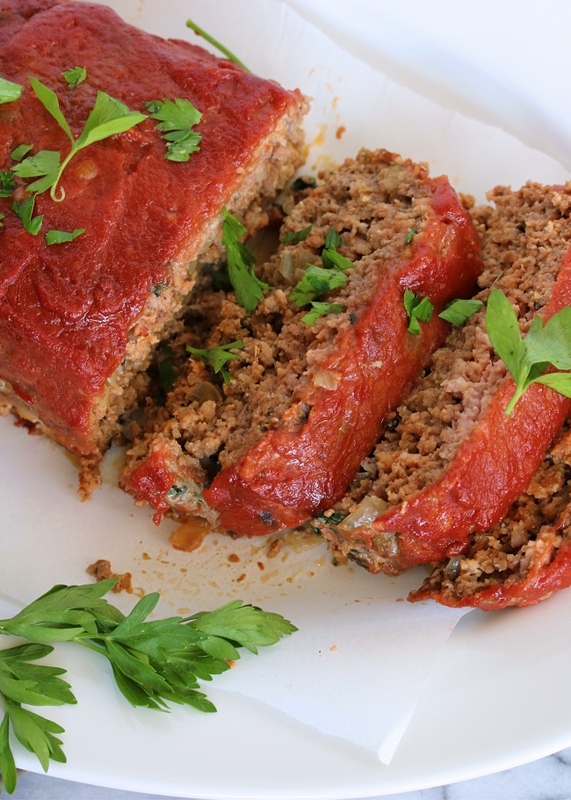 My favorite part about this dish is the Italian flair, and the fact that it seriously tastes like a giant meatball, in loaf form. And who doesn't like meatballs!? This has become a fast favorite for us, and I have loved it most for a meal prepped lunch! It makes the best leftovers with some Garlic Ranch Mashed Potatoes & Crispy Oven Green Beans. I hope you love this heart main dish as much as we do! Please let me know if you give it a try! And tag me if you share a photo on Instagram- @justjessieb! Preheat the oven to 400ºF. Line a baking dish or sheet with parchment paper and set aside. Heat the olive oil or ghee in a small skillet over medium. Add the diced onion and cook until soft. Stir in the chopped spinach, cooking until just wilted. 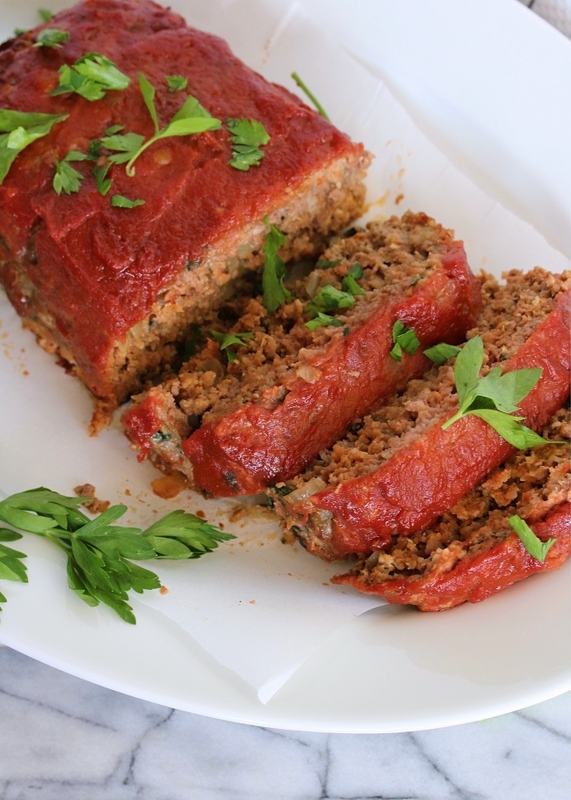 Allow this to cool for a few minutes while you work on the meatloaf. In a small bowl, combine the tomato sauce, maple syrup, and red pepper flakes. 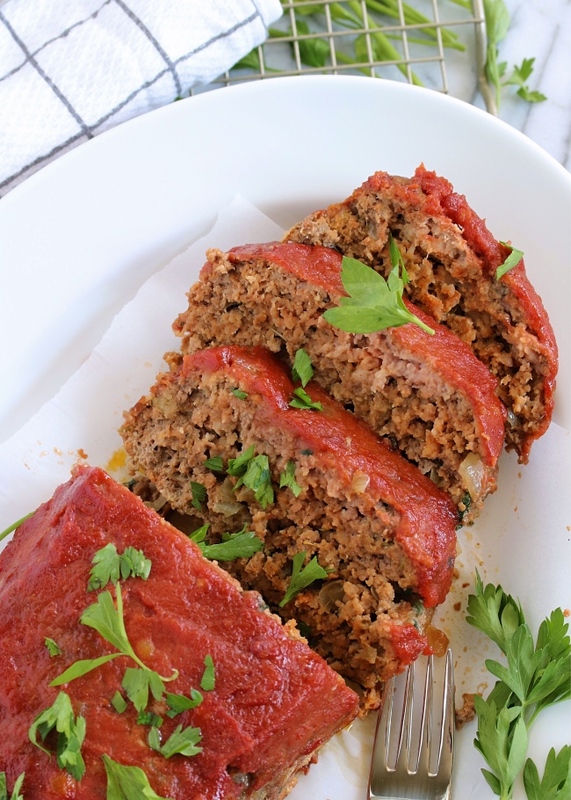 If using dates, blend the soaked dates with tomato sauce and red pepper flakes until smooth. In a large bowl, combine the beef, pork, eggs, almond flour, spices, and tomato paste with your hands or a large fork, until just mixed. Add the cooled onions & spinach, and mix until combined. 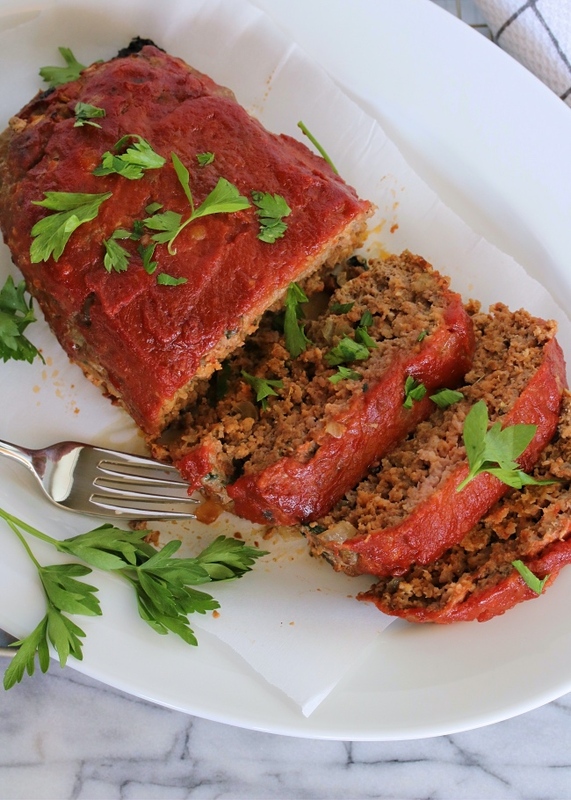 Shape the meat mixture into a loaf about 4 inches high, patting in the sides. 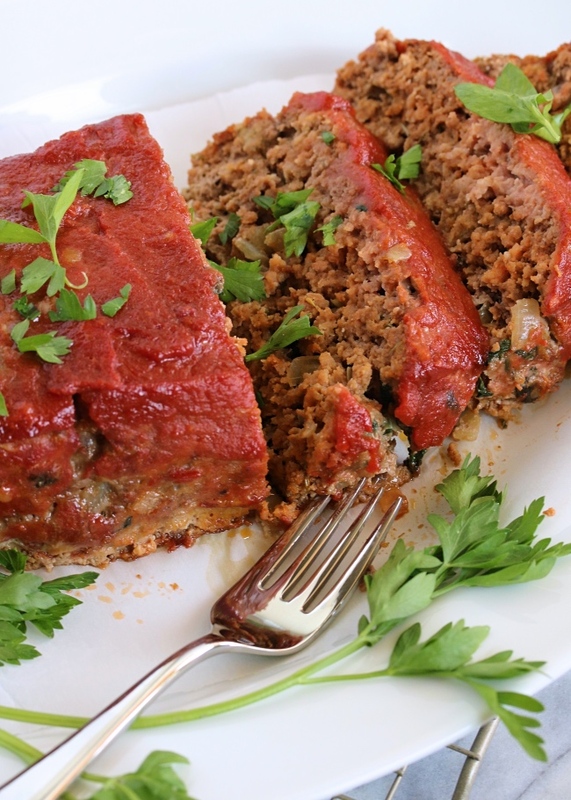 Spoon the sauce mixture over the top and sides of the meatloaf. Bake for 40 minutes, or until juices run clear. You can substitute just beef or just pork in this recipe if you don't want to use both or don't have both on hand. If you don't tolerate almonds, you can substitute 1/4 cup coconut flour in place of the 1/2 cup almond flour. I do prefer the texture of the almond flour & would recommend it if you can use it! I made this tonight and it was wonderful! So yummy! Even my 4 year old enjoyed it. Thank you for a great recipe. What would you do with the dates if you were doing a whole 30? Food processor? What would you do with the dates on a Whole 30? Food processor?